Norfolk councils are working together to tackle fuel poverty and improve cold homes across the county and would like to hear from projects who support those living in cold homes who may benefit from extra help to keep warm. 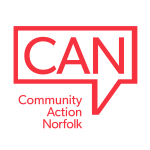 Applications are invited from Norwich projects to win one of three awards - £1,000, £500 or £250 to make a big difference locally. Did you know that applying to the Big Lottery Fund is now easier? Then did you know that the Big Lottery Fund has a new way of working? Grants of up to £250 are available for charities to provide musical entertainment and relative activities for the elderly. Loans of £25,000 - £150,000, repayable over up to 48 months are available to charities and social enterprises with projects to reduce homelessness. Audrey Stratford Trust is looking to fund projects that are based in King's Lynn or focus on King's Lynn residents. Grants of up to £2,500 are available to organisations who would normally struggle to access funding. Loans of £50,000 - £150,000 are available for community sports organisations to develop and become more sustainable by generating new income. Three community project grants will be awarded monthly.